The Legend And Beauty Associated With Shilloi Lake is Awe-Inspiring . 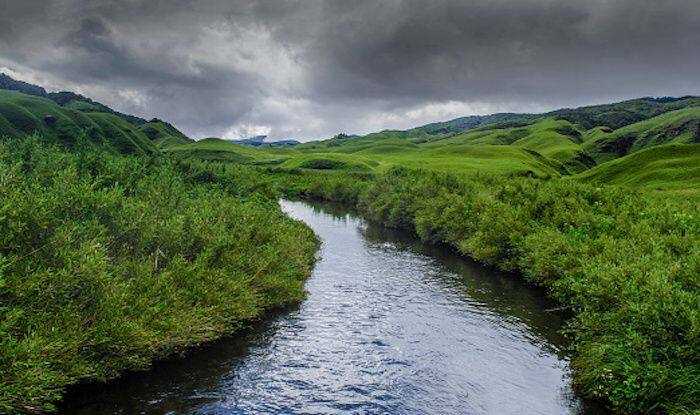 If you are in Nagaland, you must visit the Shilloi Lake – a lake with unbelievable stories associated with it. The people of Nagaland believe that this lake which is the largest natural lake in Nagaland, has never has a case of drowning for a reason. Legend goes that eons ago, a baby was found floating in the middle of the lake with a pair of hands bobbing it slowly. It is believed that the baby is the reigning queen of the lake and the spirits of the lake are its protector. Therefore, nobody ever drowns in the lake. Apart from the legend, the lake is shaped as a footprint and has a surreal beauty that promises to spell bind the traveller. Landlocked between pine trees, the lake located in Phokhungri, Phek district is abundant in natural resources, and is especially known for its fishing spots. However, the best season to fish is between June and September. Shilloi Lake or Latsam Lake (lovingly called by the locals) also attracts a large number of migratory birds like Siberian Cranes, and is the best place for birdwatching in the state. The best way to experience the surrounds here is to stay at a guest house and interact with the friendly locals as much as possible. You can also spend time rowing boats. Or, you can also visit other attractions in the area such as the Patakai Range and Myanmar Border. The lake is located at a distance of 271 kilometres from Kohima and 108 kilometres from Meluri town. The nearest airport is the Dimapur airport, which can be reached by hiring taxis or taking a bus. By road, you can reach this attraction by taking the Zunheboto-Kiphire road. The best to visit here is between November and April.